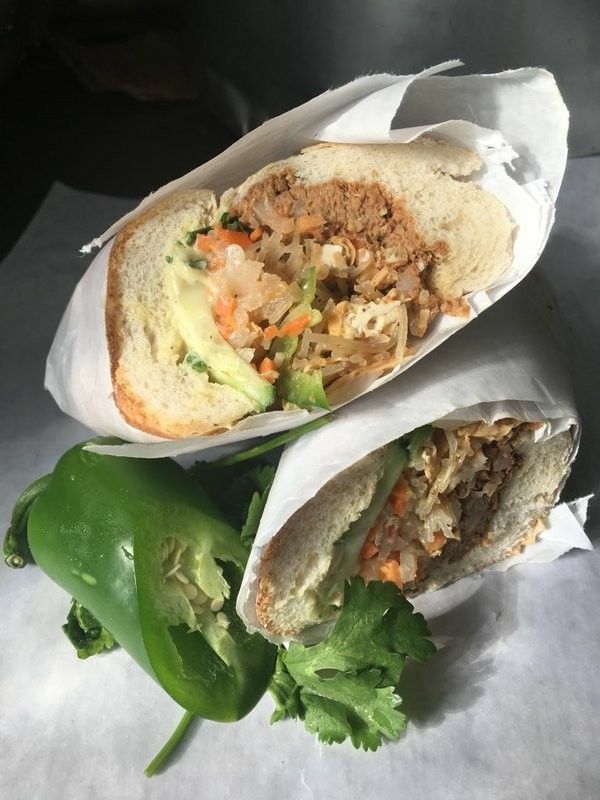 Specializing in vegetarian and vegan fare, Kung Fu Hoagies has wooed the meat-free set with tofu banh mi, BBQ “beef” hoagies and cold sesame peanut “chicken” noodles. The truck most often sets up shop 38th and Sansom Streets. 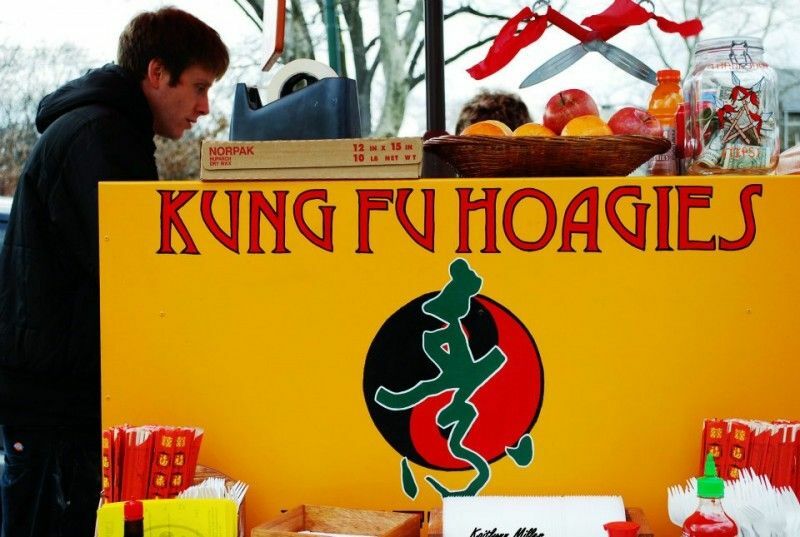 Established in 2011 by Paul Davis and Steven Renzi, Kung Fu Hoagies is an all vegetarian and vegan friendly food cart serving West and South Philadelphia. Formed under the guidance of Sifu Phuoc Phan of Seven Mountains Kung Fu, KFH is a celebration of Vietnamese vegetarian cuisine and Spirit Kung Fu culture.